Sfold software | Health Research, Inc.
Sfold is a software program developed to predict probably RNA secondary structures and assess mRNA and viral RNA target accessibility. The real challenge to a majority of companies is that they do not have in-house computational resources to address underlying RNA structure. We have novel computational tools have been developed for improved predications of RNA secondary structures with applications to the rational design of antisense oligonucleotides, trans-cleaving ribozymes and siRNAs available for suppressing gene expressions and identification of targets for regulatory RNAs particularly mRNAs. Antisense oligonucleotides (ASOs) and small interfering RNAs (siRNAs) are the two most widely used strategies for silencing gene expression. The aim of using ASOs is that they can down-regulate gene expression by binding to target mRNA through complimentary base pairing and inhibit its translation. Antisense binding to the RNA target is a necessary step before target cleavage by trans-cleaving ribozymes. For ASOs and ribozymes, target accessibility is primarily determined by the secondary structure of the target. Target structure accessibility is also important for the efficacy of regulatory RNAs. In the post-genomic era, these RNA techniques have become increasingly important for high-throughput functional genomics and drug-target validation. Sfold is available at no charge to the scientific community for non-commercial applications. The technology is available under license for commercial applications. Creating effective siRNA compounds that are delivered into human cells resulting in the silencing of genes and viruses responsible for human diseases; gene modulation by micro RNAs and micro RNA mimics, sponges and decoys. 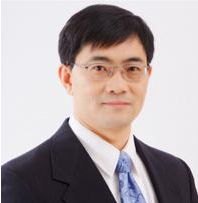 Dr. Ye Ding is a statistician by training. Since the late 1990s, he has been working on novel algorithms for RNA secondary structure predictions and applications to the rational design of RNA-targeting nucleic acids and the identification of targets for regulatory RNAs. He is the developer of the Sfold software for RNA folding and applications that have been available since April 2003. The Sfold web server has been accessed by scientists around the world to fold over 120,000 nucleotide sequences. It has also been used for teaching bioinfomatics and biochemistry. Sfold and Dr. Ding’s work have been featured on a Nucleic Acids Research cover, Science NetWatch, Nature Research Highlights, four Faculty of 1000 Biology Evaluations, a feature by Genome Technology and a four-page keynote interview report by Research Media. Liu C, Rennie WA, Mallick B, Kanoria S, Long D, Wolenc A, Carmack CS and Ding Y. (2014) MicroRNA Binding Sites in C. elegans 3′ UTRs. RNA Biology, 11(6), 693-701;doi: 10.4161/rna.28868. Liu C, Mallick B, Long D, Rennie, WA, Wolenc A, Carmack CS and Ding Y. (2013) CLIP-based prediction of mammalian microRNA binding sites. Nucleic Acids Res, 41, e138;doi: 10.1093/nar/gk435. Chan CY, Carmack CS, Long DD, Maliyekkel A, Shao Y, Roninson IB, Ding Y. A structural interpretation of the effect of GC-content on efficiency of RNA interference. BMC Bioinformatics. 2009 Jan 30;10 Suppl 1:S33. Long D, Chan CY, Ding Y. Analysis of microRNA-target interactions by a target structure based hybridization model. Pac Symp Biocomput. 2008:64-74. Chan CY, Ding Y. Boltzmann ensemble features of RNA secondary structures: a comparative analysis of biological RNA sequences and random shuffles. J Math Biol. 2008 Jan;56(1-2):93-105. Epub 2007 Oct 2. Shao Y, Chan CY, Maliyekkel A, Lawrence CE, Roninson IB, Ding Y. Effect of target secondary structure on RNAi efficiency. RNA. 2007 Oct;13(10):1631-40. Epub 2007 Aug 7. Long D, Lee R, Williams P, Chan CY, Ambros V, Ding Y. Potent effect of target structure on microRNA function. Nat Struct Mol Biol. 2007 Apr;14(4):287-94. Epub 2007 Apr 1. Shao Y, Wu Y, Chan CY, McDonough K, Ding Y. Rational design and rapid screening of antisense oligonucleotides for prokaryotic gene modulation. Nucleic Acids Res. 2006;34(19):5660-9. Epub 2006 Oct 11. Ding Y, Chan CY, Lawrence CE. Clustering of RNA secondary structures with application to messenger RNAs. J Mol Biol. 2006 Jun 9;359(3):554-71. Epub 2006 Feb 2. Ding, Y. Statistical and Bayesian approaches to RNA secondary structure prediction. RNA. 2006 Mar;12(3):323-31. Chan CY, Lawrence CE, Ding Y. Structure clustering features on the Sfold Web server. Bioinformatics. 2005 Oct 15;21(20):3926-8. Epub 2005 Aug 18. Ding Y, Chan CY, Lawrence CE. RNA secondary structure prediction by centroids in a Boltzmann weighted ensemble. RNA. 2005 Aug;11(8):1157-66. Ding Y, Chan CY, Lawrence CE. Sfold web server for statistical folding and rational design of nucleic acids. Nucleic Acids Res. 2004 Jul 1;32 (Web Server issue):W135-41. Ding Y, Lawrence CE. A statistical sampling algorithm for RNA secondary structure prediction. Nucleic Acids Res. 2003 Dec 15;31(24):7280-301. Ding, Y., Lawrence, C.E. (2002) Statistical algorithms for prediction of secondary structure of nucleic acids and for prediction of effective targets and rational design of antisense oligonucleotides andribozymes for human therapeutics and functional genomics and drug target validation. Ding, Y. Lawrence, (2002) Rational statistical design of antisense oligonucleotides for high throughput functional genomics and drug target validation. Statistics Sinca 12, 273-296. Ding Y, Lawrence CE. Statistical prediction of single-stranded regions in RNA secondary structure and application to predicting effective antisense target sites and beyond. Nucleic Acids Res. 2001 Mar 1;29(5):1034-46. Ding, Y., Lawrence, C.D. (1999) A Bayesian statistical algorithm for RNA secondary structure prediction. Computers & Chemistry 23, 387-400,1999.